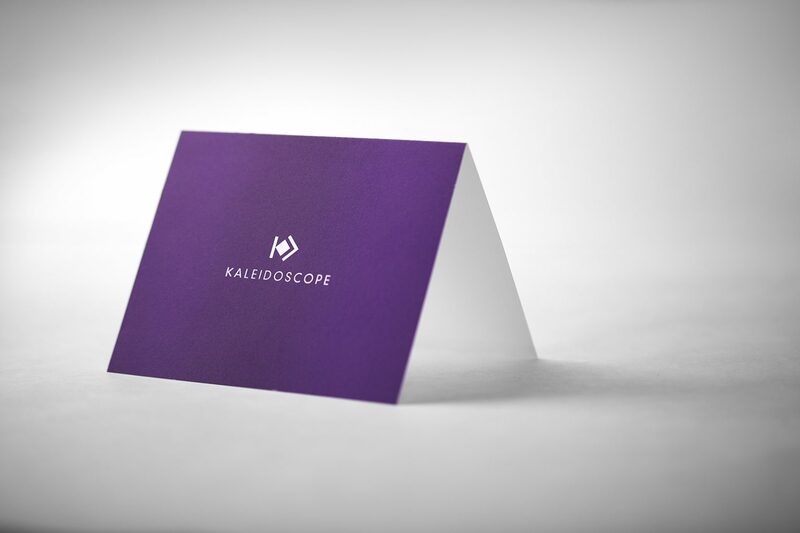 Kaleidoscope is a leading domestic supplier of wall décor that prepares and installs artwork, photography, sculpture, lighting and functional wall-mounted components for industry customers that include Hospitality, Healthcare, Commercial and Governmental entities. Kidd Group assisted them by creating a concise identity, which referenced the mitered corner of a frame within the initial capital letter “K” of its name. 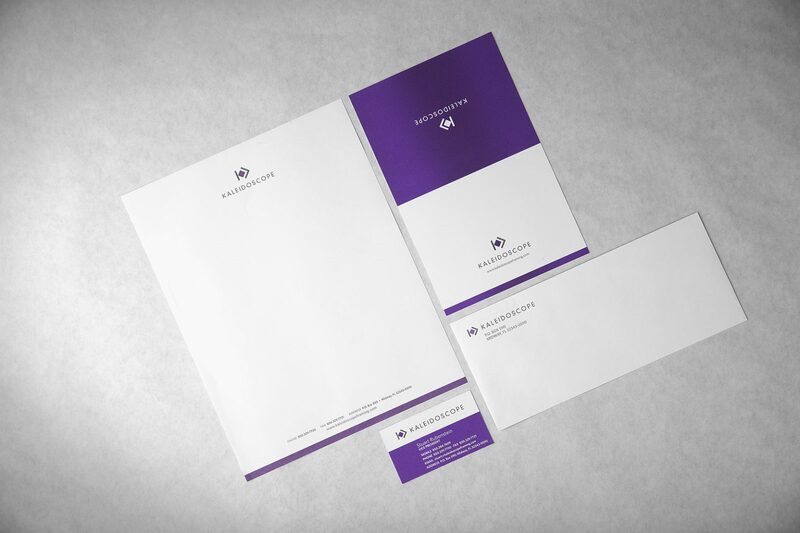 The accent color was successfully used throughout the suite of stationery, collateral and the explanatory website.